It is with great sadness that the family of Todd Spielman announces his passing on Wednesday, September 26th, 2018 at the age of 53. Todd will be forever remembered by his sister, Jody Allison; two sons, Adam and Andrew Cook; girlfriend, Misty Harman-Sadd; and best friend, Kerry Buck. Todd will also be lovingly remembered by his numerous nieces and nephews, extended family and dear friends. Todd was born on January 21, 1965, to Richard F. Spielman and Judith Davenport-Long in Hastings Nebraska. Todd had lived the majority of his life in Hastings. 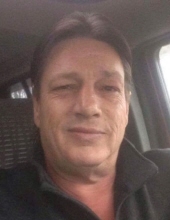 Todd was self-employed doing carpentry work and handyman services. He loved to cook, the outdoors and his dogs. He was his happiest with a fishing pole in his hand and sharing his knowledge of the sport with anyone interested to learn the sport. Todd's health had been declining over the past few years. A celebration of Todd's life will be held at Northshore Assembly of God at 2:00 pm on Thursday, Oct 4th with Pastor Melvin Johnson officiating. There will be a luncheon following the services. Memorial donations in memory of Todd can be made to the family. To send flowers or a remembrance gift to the family of Richard Todd Spielman, please visit our Tribute Store. "Email Address" would like to share the life celebration of Richard Todd Spielman. Click on the "link" to go to share a favorite memory or leave a condolence message for the family.